Hope everyone is having an awesome October so far! Just wanted to give all my blog subscribers a heads up that I am having a giveaway on my Instagram account @bookflame thanks to the ladies at myfanmail.com which is a monthly subscription box for lady geeks. 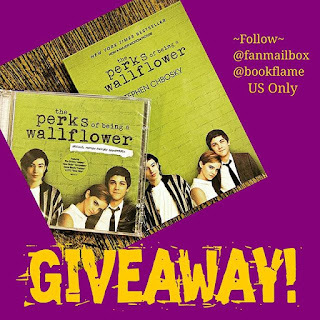 In celebration of their October "Yay for YA" box I am hosting a giveaway to where one lucky winner can win a copy of Perks of Being A Wallflower + Film Soundtrack so if you're like me and have watched the movie but never read the book head over to @bookflame and enter. If you are interested in their subscription box they do ship it internationally.